It’s tough being without a car. We provide free courtesy cars for you to drive while your vehicle is in the shop! Unsure of your coverage? We work with all of the insurance carriers and can assist you in filing your claim. 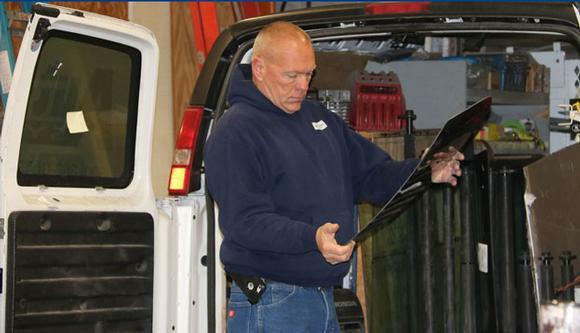 With our FREE Mobile Service, we will come directly to you to perform installation on-site. A broken windshield can happen at any time, but nobody has time for a broken windshield. At Auto Glass Systems, we’ll take care of everything and have you back on the road in no time. We’ve been repairing and replacing auto glass since 1992 and have thousands of satisfied customers. Each and every job we do comes with a Lifetime Guarantee against leakage! I personally guarantee you’ll be satisfied with your Auto Glass experience. We have done business with Todd and Cheryl Zoellner at Auto Glass Systems since I opened my body shop. We use this company because they handle all types of auto glass repairs and use the best parts and materials available. We can always count on Auto Glass Systems to get it done right. I recently had the windshield in my work van replaced at Auto Glass Systems in Springfield. I was impressed with the courteous service and attention they gave me. I needed the van for work that same day, and they were able to get it done in short order. The work was great, and it came with a lifetime warranty! I would recommend them to anyone who needs auto glass work. I have been doing business with Auto Glass Systems for over 20 years. They have replaced or repaired windshields and door glass on all of my vehicles. Recently, they repaired my power windows and door lock on my Dodge truck. I have never had any problems with their work. They are truly a very friendly and knowledgeable staff.